Every Grandparent loves to spoil their grandchildren! 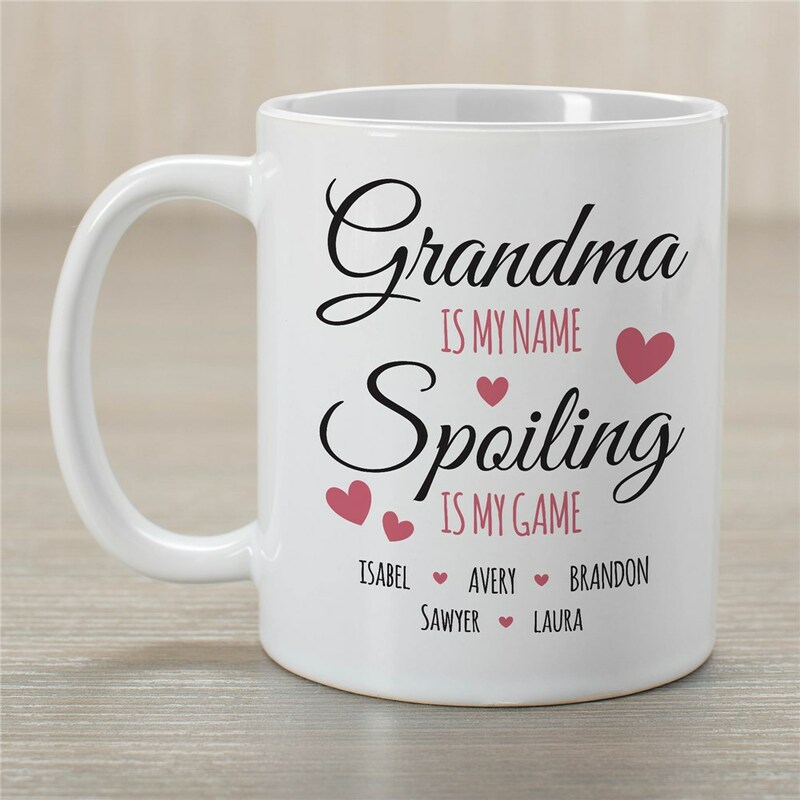 Now spoil them with personalized gifts for grandparents like this personalized mug. With the ability to choose any title and add up to 15 names, nothing will make them feel more loved or spoiled this year. Shop for grandparents gifts today! Just as shown. Good quality product. Awesome - another gift for my mother-in-law, and she loved it! Additional Details Shop more great personalized gifts for Grandma to find the perfect thing for her!